The rules of buying and selling have changed forever. Today, it’s common for a prospective customer to be 60 percent to 70 percent through the decision making process before talking to you about buying. Both Gartner and Forrester project that by 2020, 80 percent of the buying process will take place without any direct human interaction. To survive and compete, you have to change how you sell to accommodate how people buy. People shop and gather information through search engines, blogs and social media. They are not searching for your advertising. Instead, they are looking for useful content that helps them make an informed buying decision. That means a sales conversation doesn’t happen until much later in the process. If they don’t find what they need to know from you, they will talk to someone else when they are ready to buy. Content marketing is the way to guide prospects through the process until they are ready to buy. The desire for content that aids their purchase decision is growing. Google research on content consumption found that in 2010 the average consumer engaged with five pieces of content before making a buying decision. One year later in 2011 that number skyrocketed to more than 10. This is why content marketing is becoming one of the predominant strategies for generating leads and getting customers today. 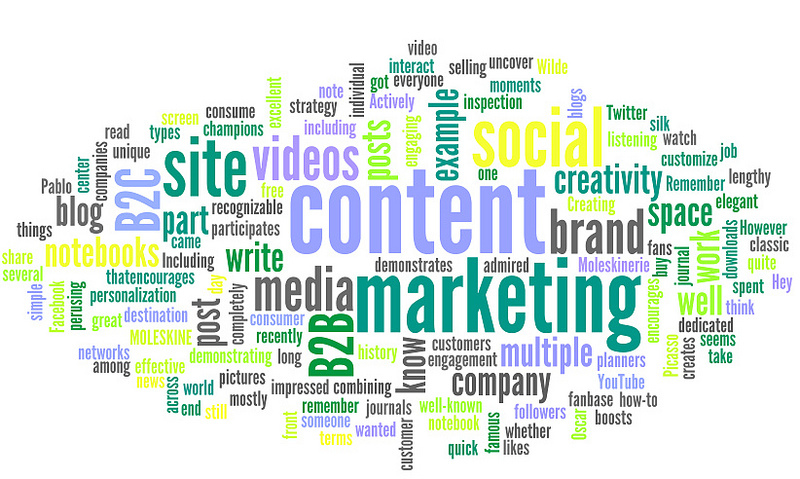 But, what exactly is content marketing and how is it different from traditional marketing? With content marketing you meet your customers and prospects where they are – where they are searching for information, and where they are in the buying process. It is the fine art of communicating with them without selling. Content marketing is the business and marketing process for creating and distributing valuable and compelling content to attract, acquire and engage a clearly defined and understood target audience – with the objective of driving profitable customer action. Those last two points highlight the biggest difference between content marketing and traditional marketing. Traditional marketing techniques are not only unwanted by consumers, they are also becoming less effective in reaching and persuading them. Not so with content marketing. Even with all of the information channels available today, prospective customers still consume content if it is relevant and valuable to them. That’s where you can win their favor and their business. A recent study found 70 percent of consumers prefer getting to know a company through original content. Sixty percent say they have a favorable opinion of it. The buyer has taken control of the buyer-seller relationship. They don’t care about you or your product or service. They care about their wants, needs and desires. To grow your business and revenues today, you must match the way you market your products and services with the way people learn about and shop for them. Content marketing will help you turn more of them into customers. Is content marketing in your future? Let us know what you think by leaving a comment below or by reaching out to us on Twitter or Facebook. It’s you opinion that is valuable to searchers online. That is what your website should reflect.